This chapter illustrates the emotions, tactics, and successful collective mobilization of Swansea City supporters in late 2001 and early 2002 that led to the formation of a Supporters’ Trust. 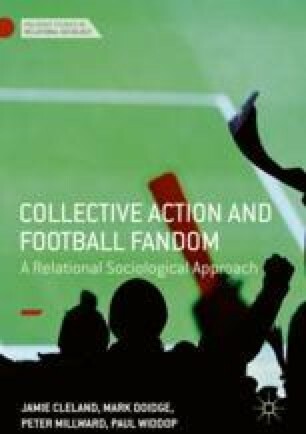 In particular, it focuses on the relationships between people in online and offline space and how these modes of interaction come together when the club’s future was threatened. It then considers some of the challenges now facing the ownership model of the Supporters’ Trust at the club as a result of the takeover of a majority of the shares by an American consortium in 2016.